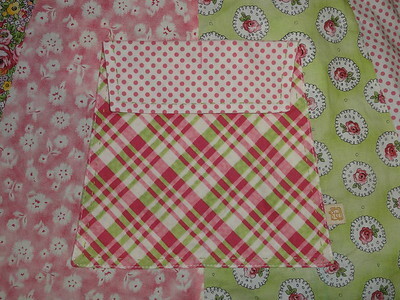 Pocket embellished with mini and large rickrack. 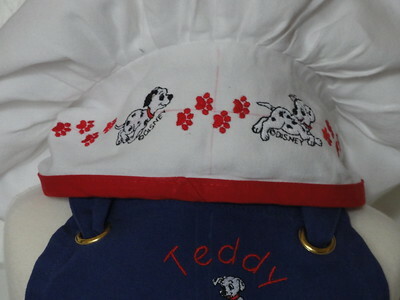 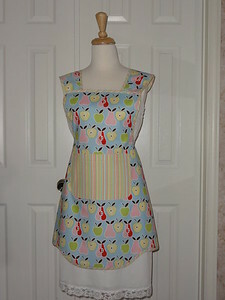 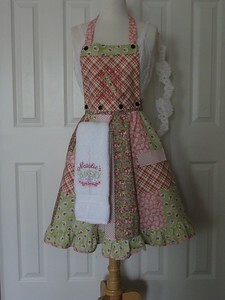 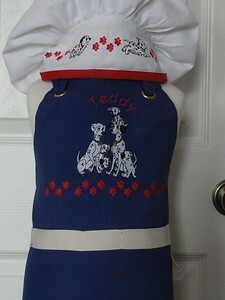 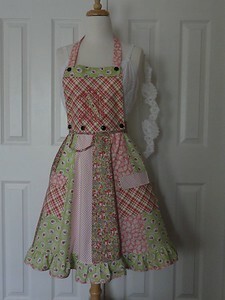 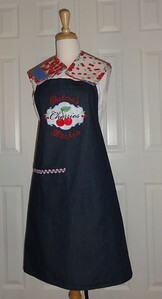 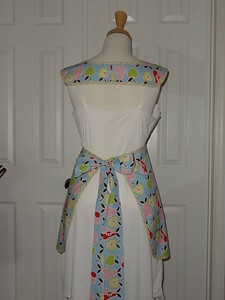 Over the shoulders are the tea towel yardage that was the inspiration for the apron design. 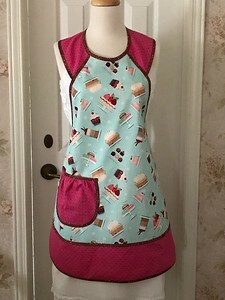 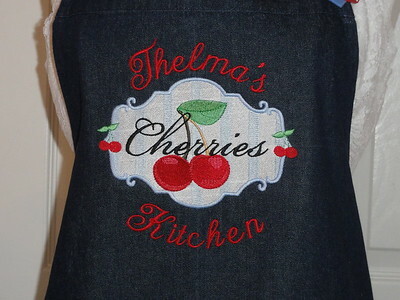 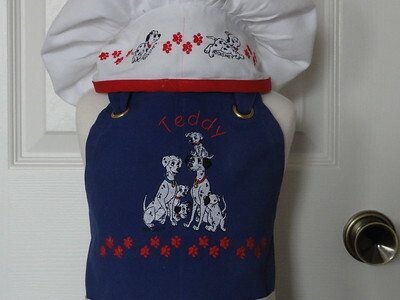 Thelma choose that yardage from my stash, and then I did the apron to go along with them. 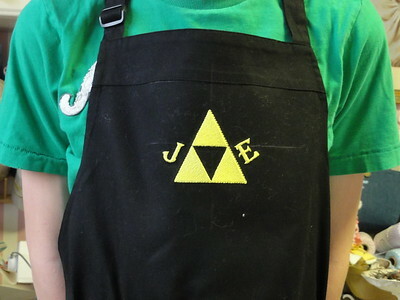 I think the triangle is from a video game he likes… Zelda or something. 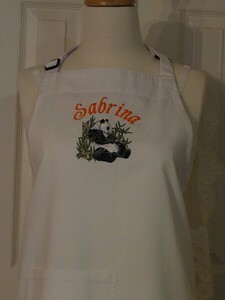 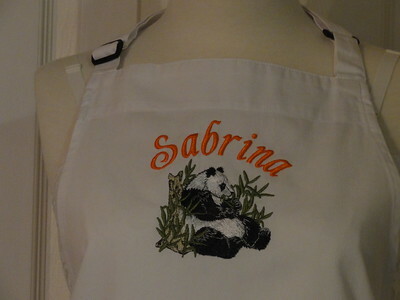 Sabrina is MW's RSVP, panda is Sue Box. 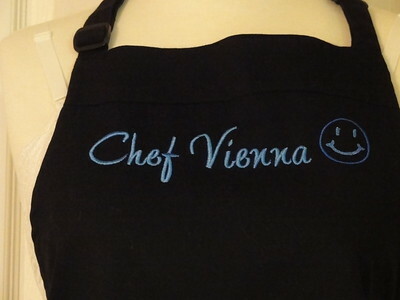 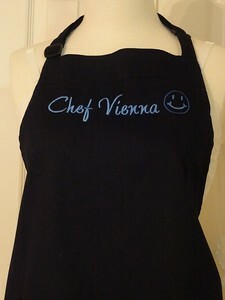 Vienna is MW's Dixie; happy face is Embroidery Library, modified. 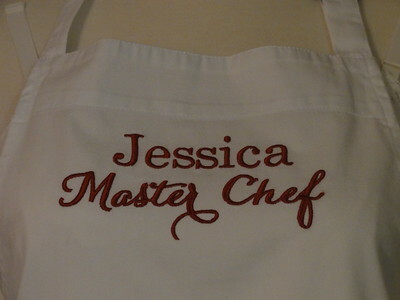 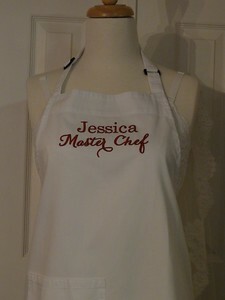 Jessica is Bernina Artista's "Blackboard." 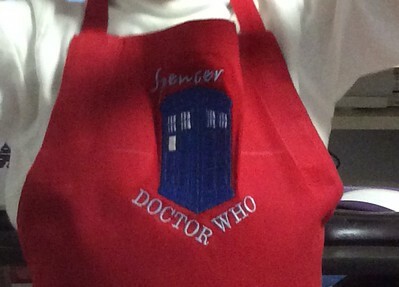 Master Chef is MW Bonny. 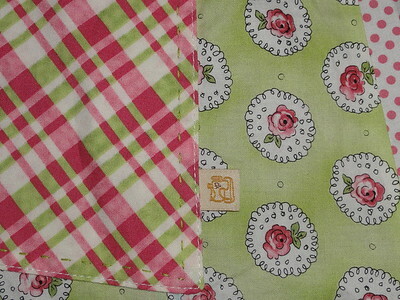 I bought these cute tags on etsy. 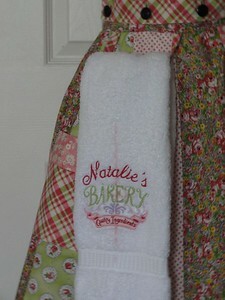 Closeup of towel loop on apron. 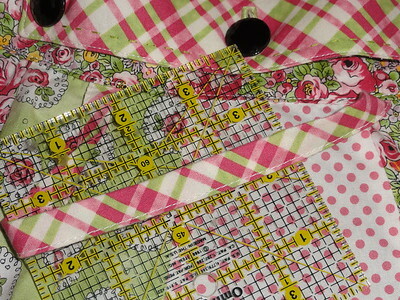 Ruler to give you an idea of the size. 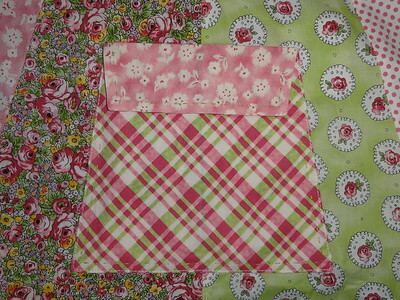 Loop is made of straight grain fabric, bias plaid is printed. 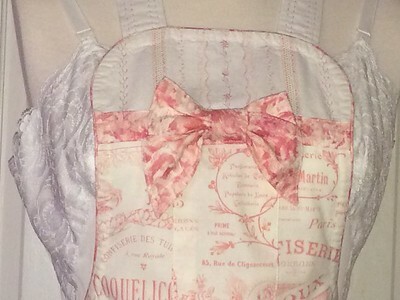 Closeup of Sashiko stitching on apron ruffle. 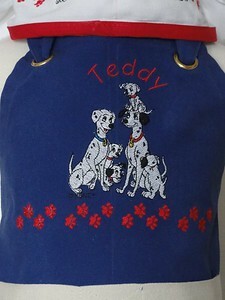 Applied with Babylock (bias) binder on Sashiko machine. 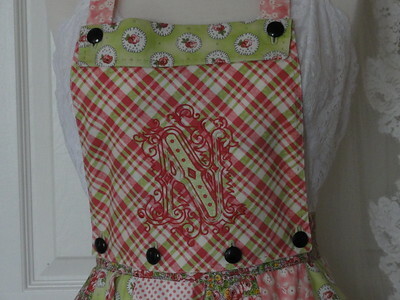 N is from Martha Pullen's IEC 2013. 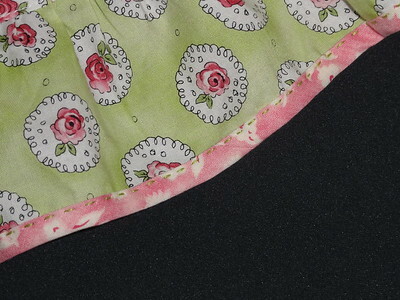 Buttons are vintage jet. 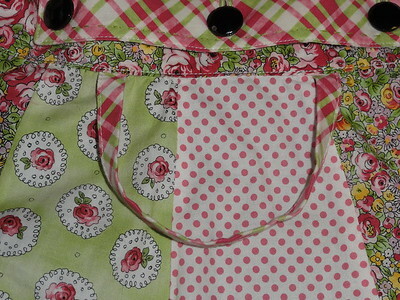 Pattern: Mixing Bowl Beauty, modified Fabrics: New York Retro Buttons are vintage jet.